A few publications and brands Celeste has been featured in or worked with. Panda Radio Interview by award winning Host Kavita Kavita for International Coffee Day where I was speaking about coldbrew and my Bailey’s Irish Cream & Coffee cocktail signature serve. 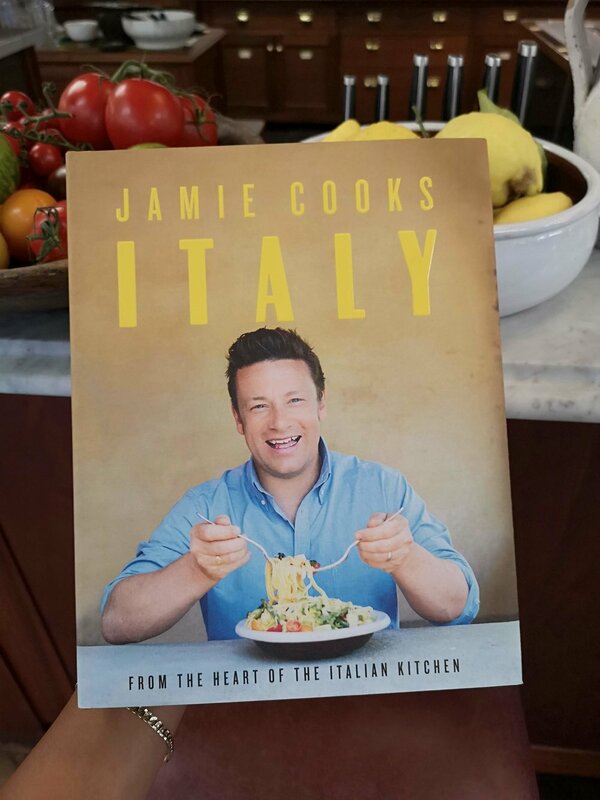 Jamie Cooks Italy with mentor Gennaro Contaldo. 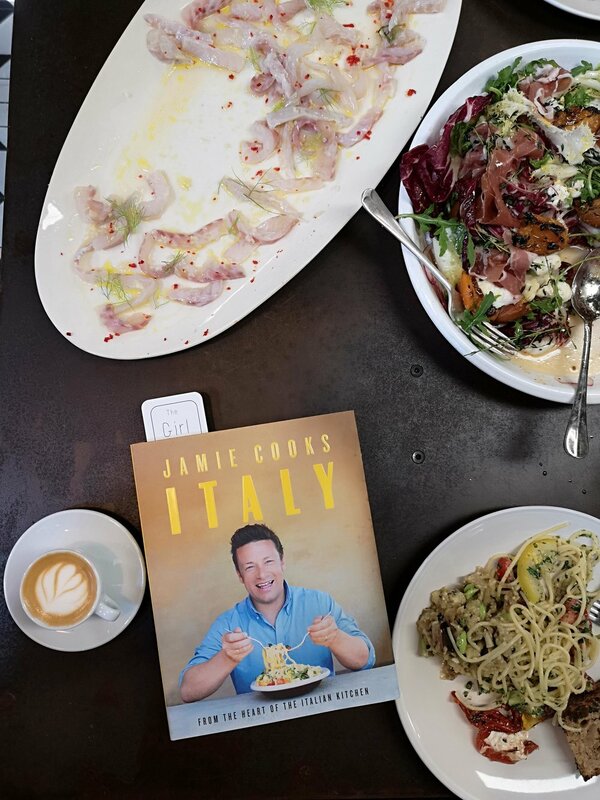 Again I was invited to make and supply TGITC coffee from my coffee-collab (with The Roastery Dept) for Jamie’s international press launch for his impressive new book, Jamie Cooks Italy. Again, it was an absolute blast, especially using a vivid yellow La Marzocco Mini. Busy but great! 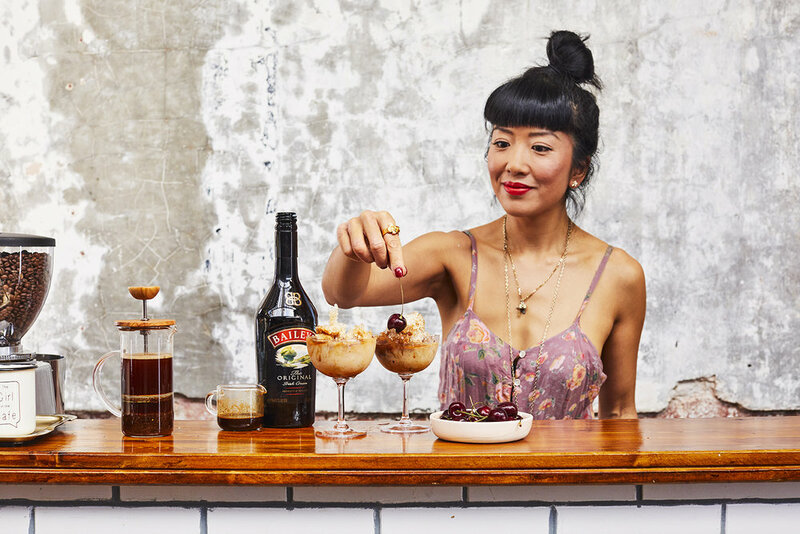 Baileys Irish cream has chosen five female entrepreneurs in the artisan food and drink industry to be part of a Treat Collective #TREATUP campaign. Each of us bring something unique to the mix, as ambassadors in our own fields. In both campaigns I have been part of, with these amazing women, we are collaborating to create amazing, decadent but simple recipes for people to make at home and in bars and restaurants throughout the country. The most recent project is part of the Bailey's Almande Dairy-free spring Launch and rolled out across all social and various media platforms. 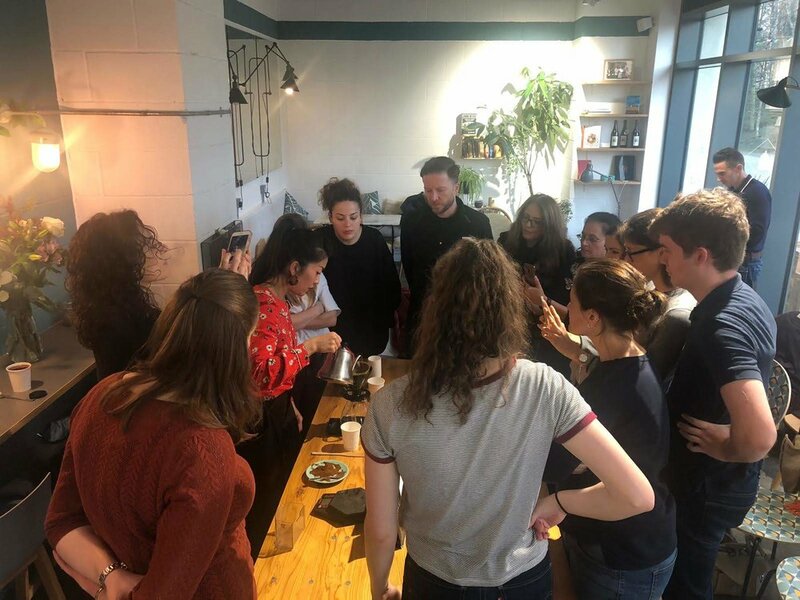 I will be at THE LAB sessions during this London Coffee Festival (2pm, April 14 & 15) work-shopping one of my creations and at the Baileys Women's Prize For Fiction Shortlist awards, main event workshop showcasing two of my coffee-cocktails at Waterstones in London. 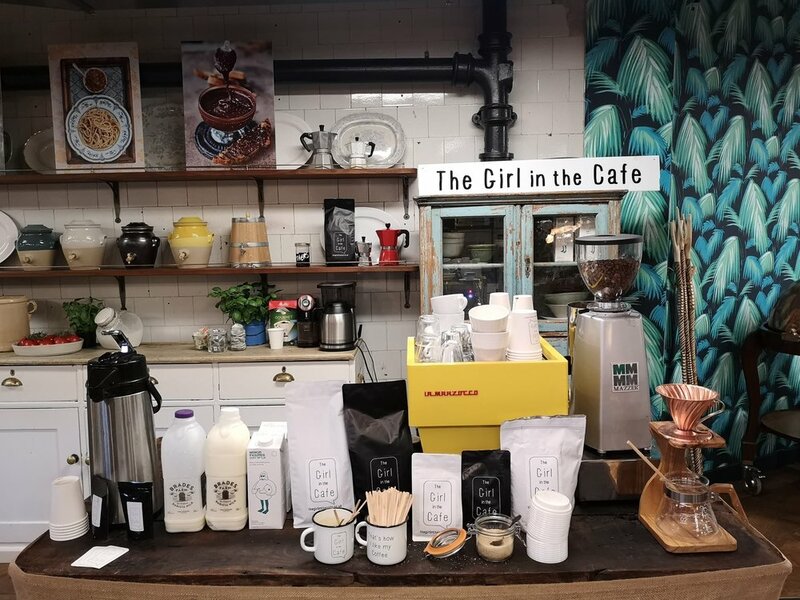 I was invited to make and host my The Girl in the Cafe coffee spot for Jamie Oliver’s International Press launch for 5 Ingredients Quick and Easy. It was super fun. 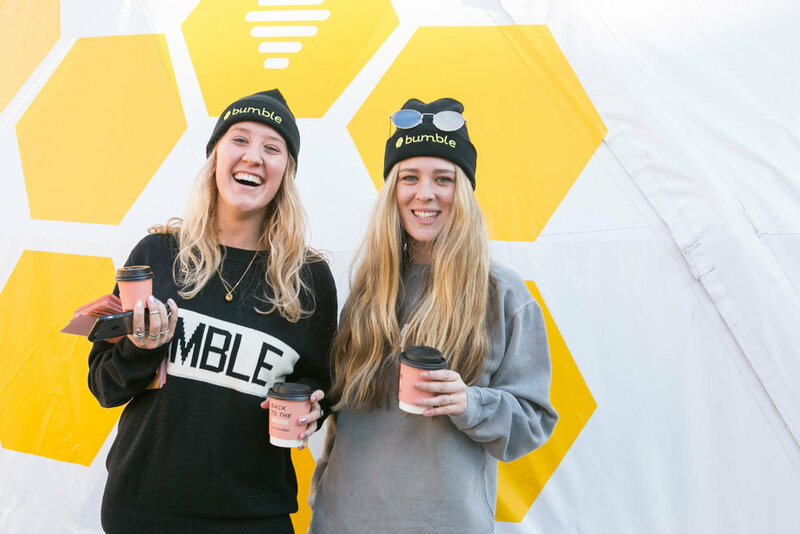 I was invited to set up a pop up cafe for the UK launch of Bumble Bizz - a location-based social application that facilitates business communications. Bumble was founded by Whitney Wolfe Herd shortly after she left Tinder, a dating app she co-founded. If you see me on billboards while boarding flights in all major airports (HK, LAX, Melbourne, Sydney, Heathrow...) TAKE A SELFIE with me and send it through! Here, I finally saw one when I boarded my Melbourne flight back to London! 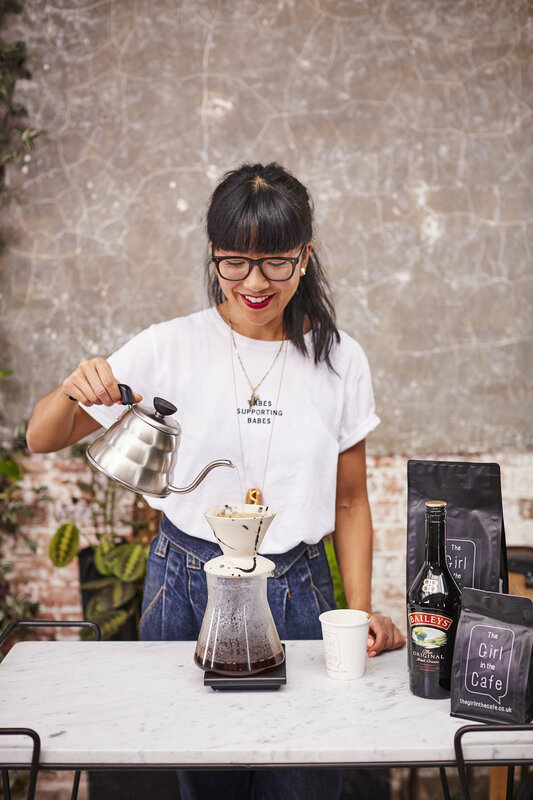 "Meet the stars of the London coffee scene"
Celeste was featured as one of London’s top five baristas. The Financial Times (FT) is one of the world’s leading business news and information organisations, recognised internationally for its authority, integrity and accuracy. ADGA reveals that the FT reaches over 2 million readers every day. Recently Celeste was invited to be interviewed on London’s new online TV network LONDON LIVE TV as a food and coffee blogger to talk Antipodean coffee and cuisine and places she recommends. A collaboration with good friend and Director Chris Turner resulted in this personal short art film in which Celeste stars. This film has been selected for competition at the BERLIN Fashion Film Festival (along side Guy Richie & Wes Anderson Films) and personally selected by Diane Pernet for PARIS ASVOFF and to tour worldwide with her festival . It has reached over 111,000 views online since its release end of 2013. WARNING: A bit dark and weird. Watch in the dark with the volume up. 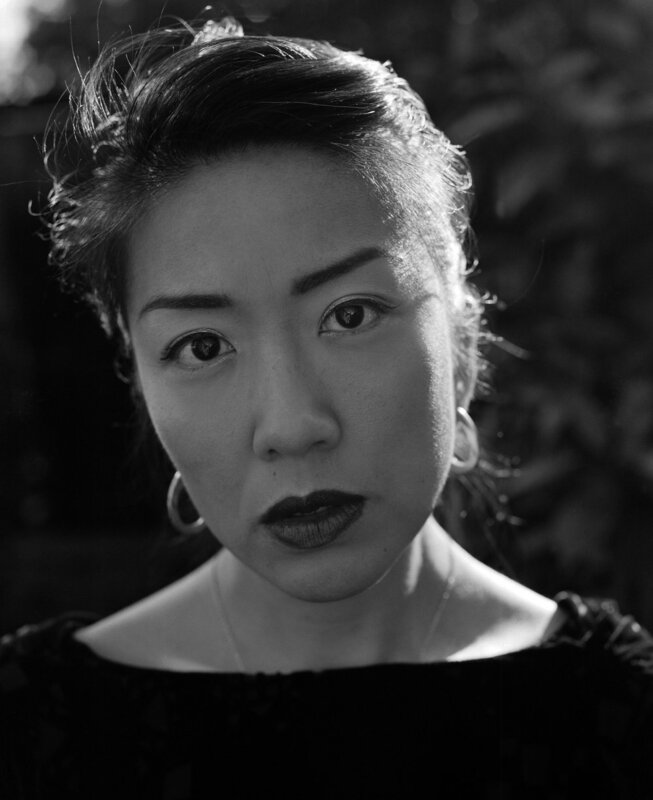 SHORT FILM: Flight of the Pompadour - By Karan Kandhari. Where Celeste plays out her Anna Karina/Godard Fantasies in this cool number.